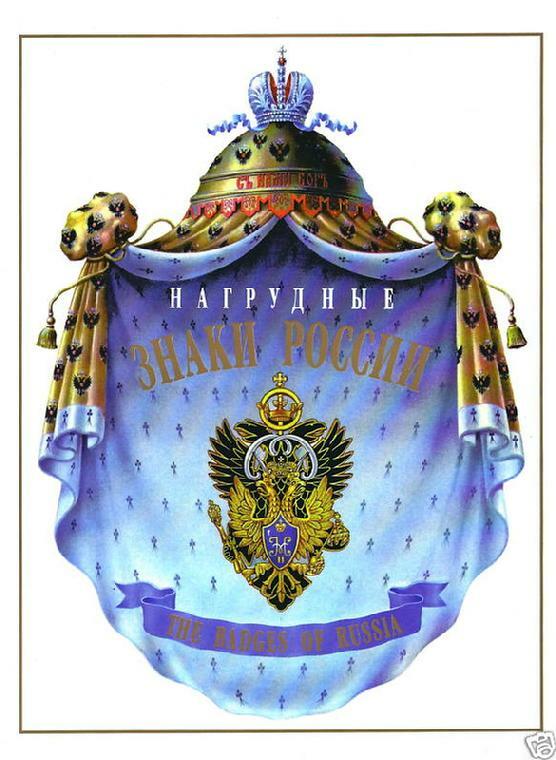 Badges of Russia, Volume 1. S Patrikeev & A Boynovich. Moscow 1995 English and Russian text. Hardcover with dust jacket, 388 pages. 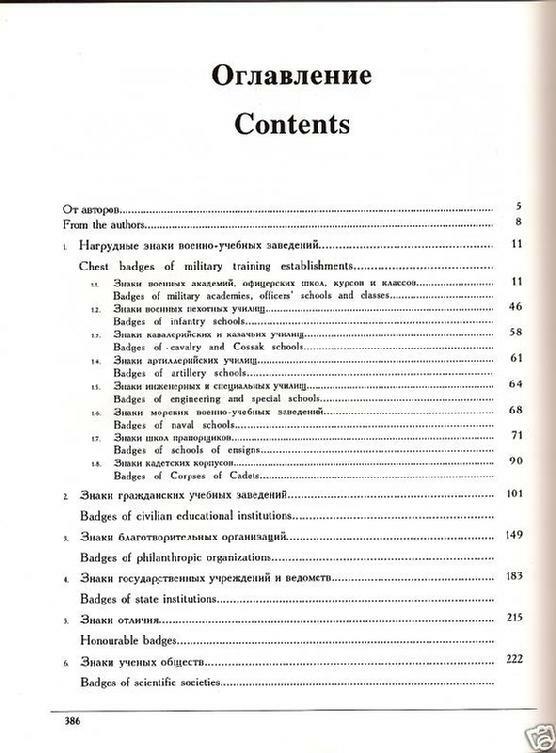 Bilingual Russia/English text. 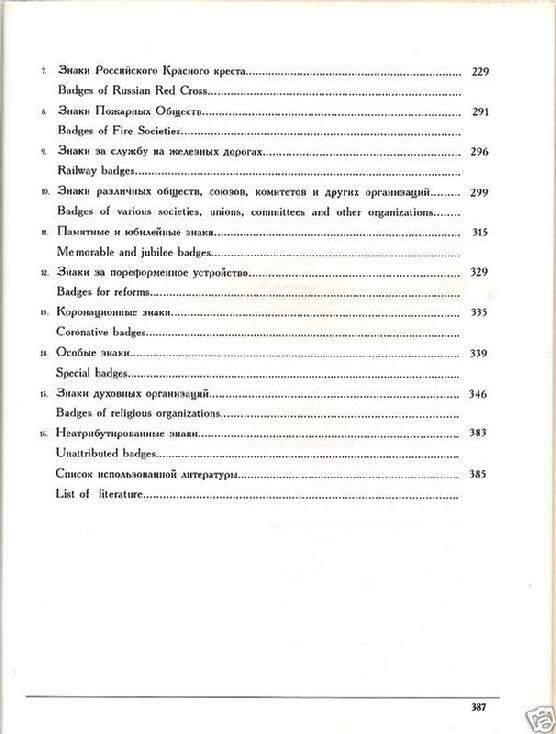 Chapters cover: Military School Establisments, Civilian Educational Institutions, Philanthropic Organizations, State Institutions, Honor Badges, Scientific Societies, Russian Red Cross, Firemen Societies, Railway, Miscellaneous societies, unions, and committees, Commemorative and jubilee badges, Badges of the Reforms, Coronation Badges, Special Badges, Religious, and Unattributed. Extremely useful illustrated work of Imperial Military School and Civil Organizations previously unknown to collectors. 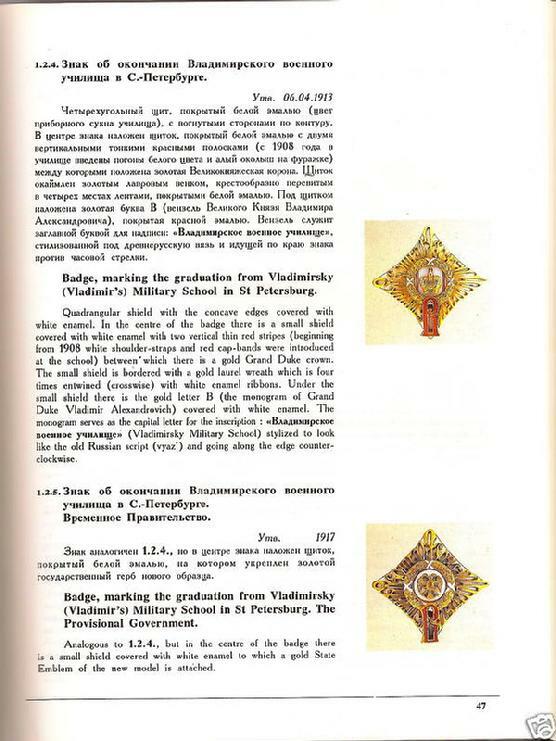 A handbook for both the Imperial Rusian badge collector and military historian of Imperial military schools and civil societies in Imperial Russia.